Kids hate geography? 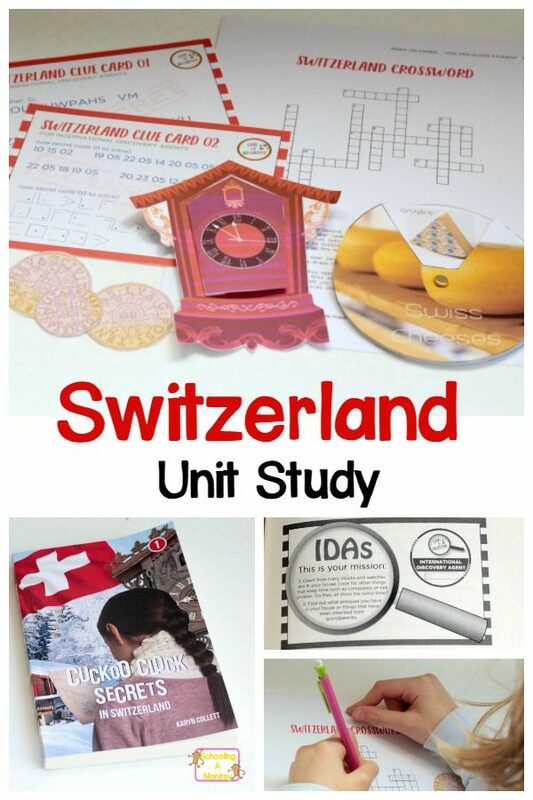 They won’t after using this exciting hands-on Switzerland unit study investigating the ins and outs of Switzerland! It’s a fun way to add a geography element to your thematic units. This post is sponsored by Case of Adventure. All opinions are my own. Note: Case of Adventure is not a fully secular curriculum. There is mention of Christianity and religious-themed projects. However, you can complete the study without using the religious material, which is what we have done. Geography has always been one of my weakest subjects. I found the topic so boring as a kid. What did I care about the imports and exports of places I have never been and will likely never go? Why would I care what rivers border Peru? Because I found the subject so boring, I retained little of my geography lessons growing up. 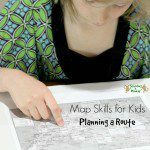 My kids don’t get many formal geography lessons for the same reason I disliked it. 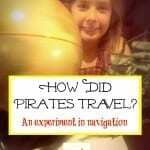 We haven’t found many interesting geography curricula to try. 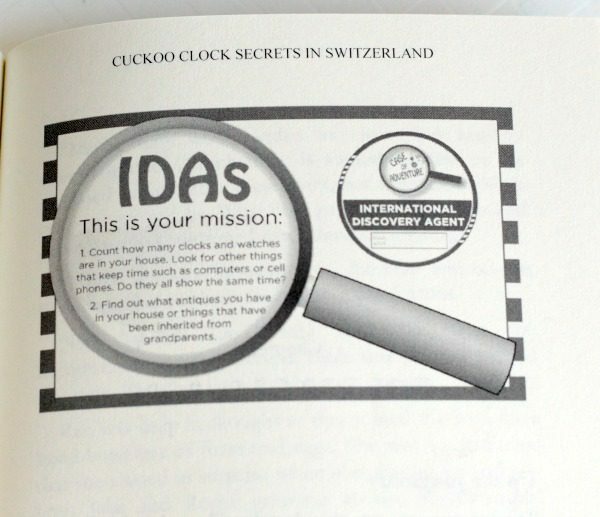 When we were asked to look over Case of Adventure: Cuckoo Clock Secrets and Destination Switzerland, I was pleased to see that hands-on geography lessons do exist! 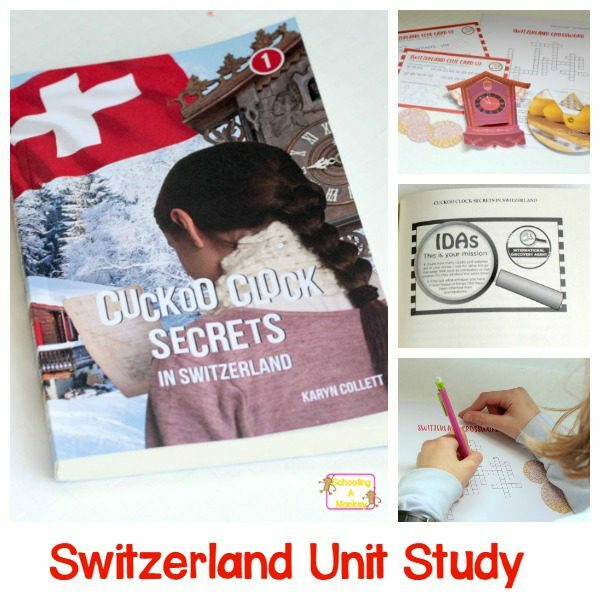 Cuckoo Clock Secrets and Destination Switzerland combines unit studies with lapbooks and hands-on projects. There is a geography-themed novel that is about homeschooled kids (which my kids liked) that form the core focus of each lesson. Then, there are a series of challenges and projects you do based on what the kids in the story do in each part of the story. We were so impressed at how detailed and thorough the lessons were and how much information was included. By the time we were done, we felt like Swiss natives! The premise was really fun and my kids enjoyed it a lot. My 10-year-old, especially liked the hands-on projects. 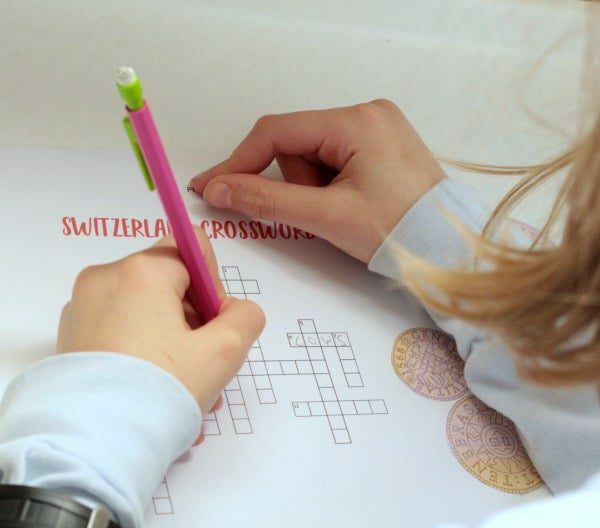 One of the first projects we tried (out of order, because that’s how we roll) was the Switzerland crossword puzzle. Since Monkey hadn’t completed all the lessons yet, she didn’t know all the answers to the crossword puzzle. So, she had to look in the book to find the answers. She wouldn’t normally be excited to look things up, but she enjoyed searching for the answers to the crossword puzzle. Even my 4-year-old found things to enjoy in the curriculum. She particularly liked the rotating wheel activity learning about Swiss cheeses and the little clock that inspires the entire visit to Switzerland. There is a LOT to print in this unit study. 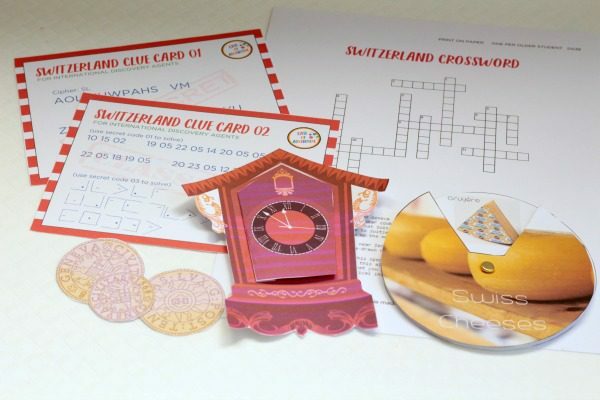 Each little package has about 50 pages, and we received three bundles with our Switzerland unit study. We found it easiest to print what we needed when we needed it, rather than print everything at once. That way, if we didn’t want to use something (like the bible-themed activities), we didn’t waste any extra paper or ink. You might find it cheaper to get the materials printed at a print shop rather than trying to do it all yourself at home. The only thing we found a little strange about Case of Adventure was the inclusion of Christianity. There is hardly any mention of religion until the end of the book, when the family tries to witness to someone they meet along the way. We skipped that part, but the religious aspect might alienate some homeschool families who are not affiliated with Christianity. Try Case of Adventure For Yourself! Like Case of Adventure to a get free printable money set! Use coupon code: 25LAUNCH to get 25% off your entire order through February 11th. Get more freebies by following along on Twitter, Instagram, or Pinterest. « Creative Leprechaun Crafts Kids of All Ages Will Love!